When did your love of photography begin? When I was 12 years old, my mother gave me my first camera. There is no such thing as a typical day. That's what I love about it. I love that I get to access the creative part of my brain on a regular basis. I also get to be around people in love, which is quite wonderful, and I love the freedom that comes with making my own schedule. My office is a special place. It's a mixture of antiques and paperwork, photographs and shoes. I have a vintage wrought iron daybed that I love to sit on while I edit photos. Do you have any advice for people who want to pursue creative creatives like yours? I think it is important to have a healthy balance of creativity and business sense. Much of my time is spent doing very un-creative things... running a business is full of paperwork and organization. I love my career, but make no mistake about it, it is a lot of work. 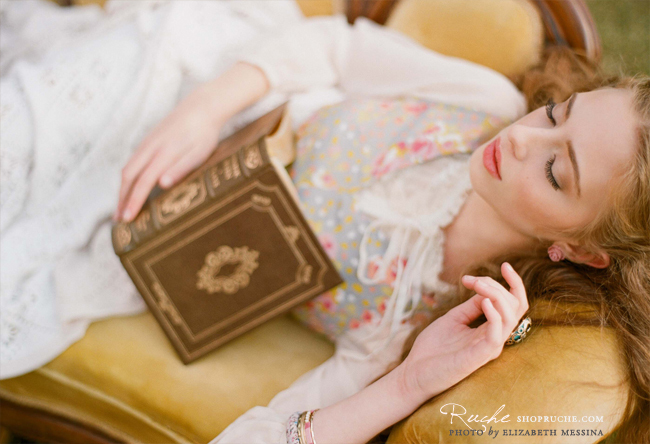 Which images do you adore most from the lookbook, Enchantment? Ahhhh, so hard to choose.... I love the cover image, it's definitely one of my favorites. 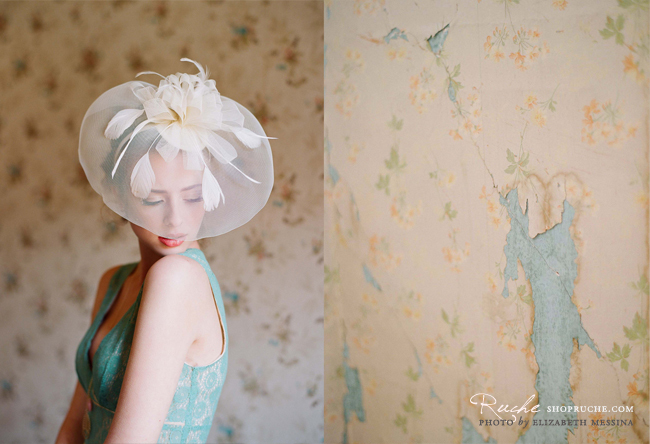 And I really adore the image with the white hat. The entire day was filled with so much beauty... I don't think there are any shots I don't like. 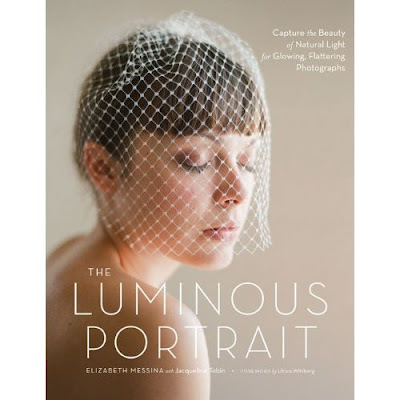 To see more wedding inspiration and beautiful photographs by Elizabeth Messina, visit Kiss the Groom and view her new book! I need more shoes in my office! Love the photos + interview!